These journeys have all been extracted as pdfs from the editions of Battersea Matters, the magazine of the Battersea Society in which they were published. You can find all editions in full on the society’s website. 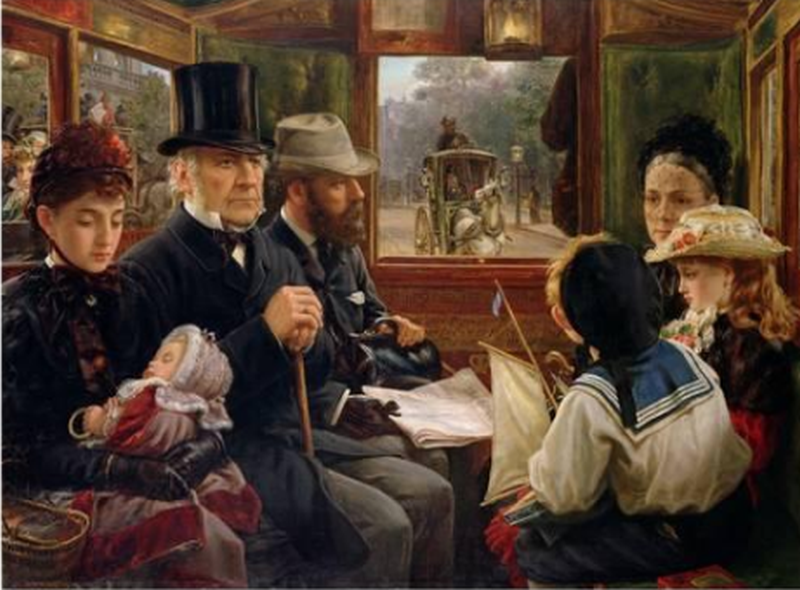 I travelled on buses much as Mr Gladstone (above) did wearing a top hat, and brandishing a quill pen while recording what I saw from the windows. Be that as it may, these pieces are meant as a light-hearted guide to some of the interesting, unusual and sometimes quite boring sights you can see while travelling on a London bus. The idea was that some part of the journey was inside inside Battersea, though I don’t always stick to that. During the time I’ve been writing these pieces, much of central London has been affected by the Crossrail development, and on occasion the routes have been subject to complicated diversions. And of course there have been changes – some better than others, with parts of the city looking like a perpetual building site. And a couple of the journeys are a bit different, in that buses play a very minor part in them. I never claimed that I was going to be consistent.